I saw when the Lamb opened one of the seven seals, and I heard one of the four living creatures saying with a voice like thunder , Come. 2 I looked, and behold a white horse : and he that sat on him had a bow; was given a crown, and went out conquering and to conquer . This book was written by John, to encourage believers who were being persecuted and to affirm his faith that God would take care of them . John now begins to describe the first half of the seventieth week of Daniel ( Dan 9 : 2). Period seven year tribulation . The Lamb has taken the sealed book , is about to open the seals and declare war to a world without God . Whenever a seal is opened a major event happens on earth. Read Matthew 24. 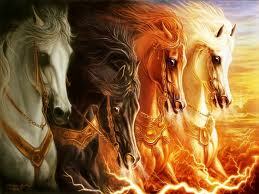 When the first four seals of the four living creatures on the throne ( 4:6-11 ) calls the rider and the horse , Come ! 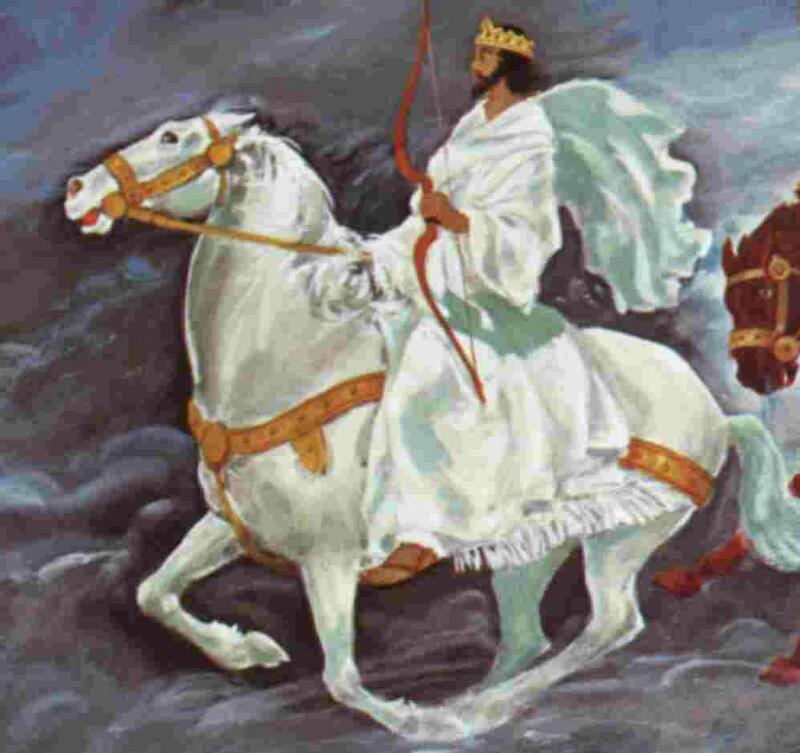 First is the white horse and its rider is given a bow and a crown . 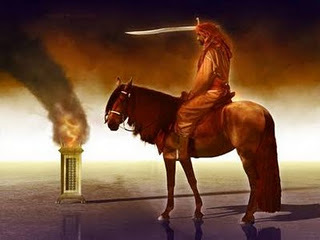 We can not confuse this with the scene described in Revelation 19:11 where we see Christ riding on conquest. Here the rider is the antichrist , the false Christ , 666 beginning his conquest of the land . The fact that it has a bow but no arrows indicates conquering nations peacefully. 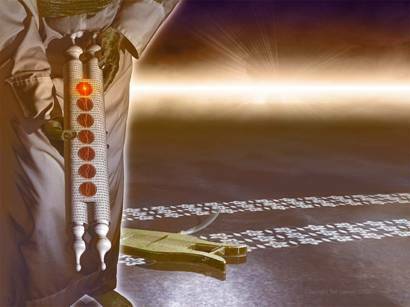 After the rapture of the Church, the way is open for the Antichrist forward in triumph . Out there will be a false peace , because He will unite all of Europe and even will make a covenant with the Jews. 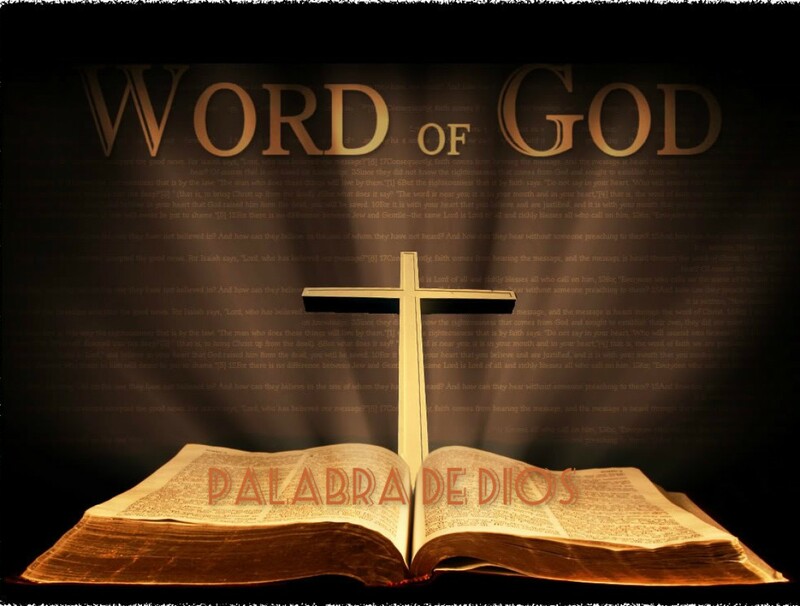 ( 1Ts5 :2 -3) This passage is parallel to Matthew 24:5 and fulfills the prophecy of Christ in John 5:43 . 3 When he opened the second seal , I heard the second beast say, Come and see. 4 And there went out another horse that was red , and its rider was given power to take peace from the earth , and that they should kill one another : and was given a large sword . We notice here that God gives authority to the Antichrist to take peace from the earth which is part of God’s plan. We see that the Antichrist no longer carries a bow without arrows but now a large sword , and men begin to kill each other . This clearly indicates that the methods of international agreements and diplomacy will not produce lasting peace. 5 When He opened the third seal , I heard the third beast say, Come and see. And I looked and behold, a black horse, and its rider had a balance in his hand. 6 And I heard a voice from among the four living creatures , and said : Two pounds of wheat for a Darius , and three quarts of barley for a penny ; do not damage the oil and the wine . Famine and war often go together Matthew 24:7 . black color, makes one think of the famine , John 14:1-2 and Lamentations 5:10 . The rider (even the antichrist ) holds scales , indicating that the government has established , control of food. A measure of wheat was about a liter , a denarius was the daily wage of a laborer. In other words , foods were scarce while a person would need a whole day to earn enough to just buy a liter of grain ! But what if there is no shortage of oil or wine for the wealthy. While this enriches and enjoy all luxuries , the poor empobrce every day more . sto miss the antichrist covenant with Israel presumably would want to protect their resources and can not forget that the oil and wine are products of Israel. 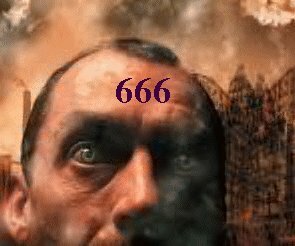 7 When He opened the fourth seal, I heard the voice of the fourth beast say, Come and see. 8 And I looked , and behold a pale horse , and its rider was named Death , and Hades followed with him and was given power over a fourth of the earth to kill by sword, famine and plague , and with the beasts of the earth. The opening of the fourth seal . As soon as Jesus Christ, the Lamb opened the fourth seal while a voice was heard rumbling sky . Came the fourth beast , which was like flying eagle. Your message was only two words : Come and see. The expectation will be rushed John to look at what the fourth beast was showing . John sees a pale horse . 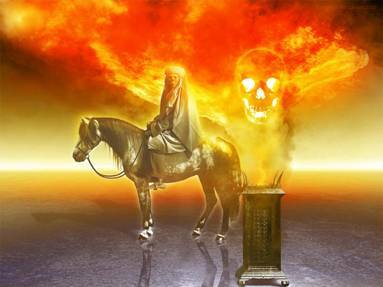 The yellow color adjective suggests leprosy ( Lv 13:49 ) Death rides on this horse and <Hades> ( not hell ) rides next to her. It should be noted that death claims the body, the soul Hades . God authorizes killing a quarter of the population of the earth. 1 used four methods . the sword ( violence and war ) 2.hambre ( famine ) 3. death or pestilences (diseases that accompany war and hunger. 4 . betias (nature takes over the civilicacion disrupts everything ) . Ezekiel 14:21 . als Even beasts attacking humans . And all this will happen after the Church has been taken to heaven.